Bunches Of Healing Herbs, Mortar And Sachet On Board. 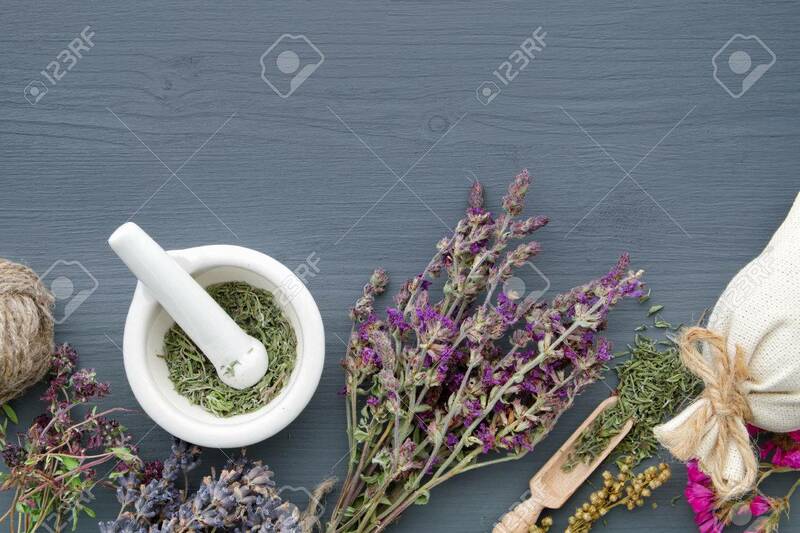 Herbal.. Stock Photo, Picture And Royalty Free Image. Image 79491108. Stock Photo - Bunches of healing herbs, mortar and sachet on board. Herbal medicine. Copy space for text. Top view, flat lay. Bunches of healing herbs, mortar and sachet on board. Herbal medicine. Copy space for text. Top view, flat lay.